First time I tried this drink was in Dulan, Taiwan. Inside the Sintung Sugar Factory Culture Park 新東糖廠文化園區 is a cozy restaurant 都蘭小房子. You must try their seafood dumplings. So good! And I had a lemonade slushy made of taiwanese green lemons and brown sugar. So refreshing in the summer heat. 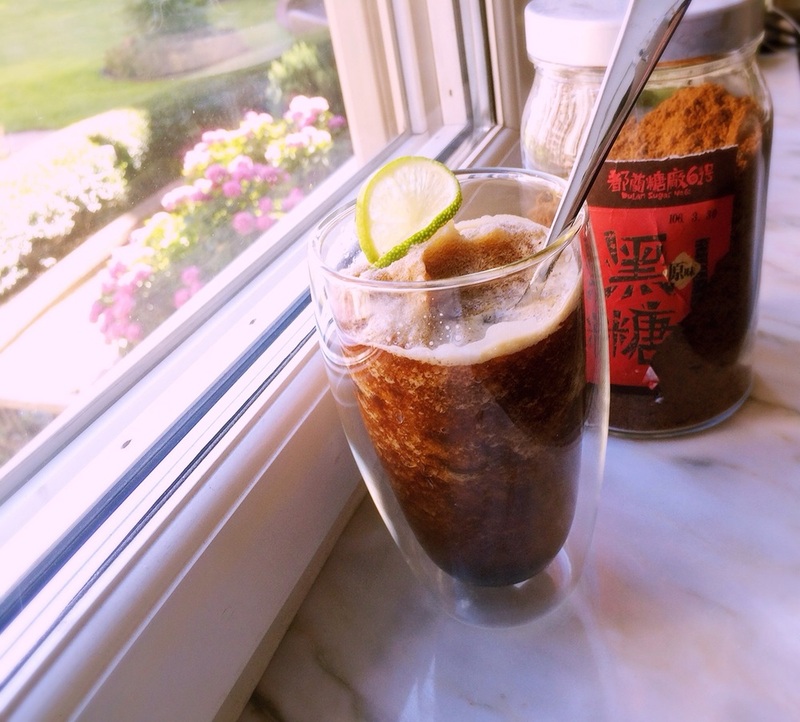 To recreate the drink at home, I used limes and brown sugar (purchased at the mentioned restaurant) and ice. Not quite the same citrus flavor as the Taiwanese lemons, but close.